Taapsee Pannu has established herself among most influence young actors and regarded as a fine actor of our time. After appearing in just two Hindi films she grabbed a solo film Naam Shabana and impressed with her peerless performance in the film. The actress was born on 1 August 1987 in New Delhi where she did schooling then engineering in computer science. After graduation, Taapse Pannu did the job as a software engineer but she was passionate about modeling and acting. During her modeling, she auditioned and got advertisements. An ambitious actor and model Taapsee Pannu did several commercial TV adds an early age. 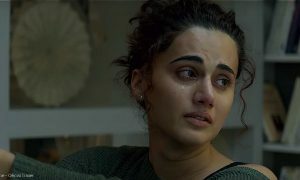 In 2010, Taapsee Pannu got a chance in Telegu movies and made a powerful impact on filmmakers. After debut Telugu film Jhummandi Naadam, she got back to back offer in Tamil and Malayalam too. Taapsee made her Bollywood debut through David Dhawan’s comedy-drama Chashme Baddoor (2013) along with Pakistani singer-actor Ali Zafar, Siddharth Narayan, and Divyendu Sharma all did brilliant job and film got success. But the actress gained fame through thriller Baby (2015) and social drama Pink (2016) after that she is the first choice of many promising filmmakers and collaborated with David Dhawan for the second time in Judwaa 2. 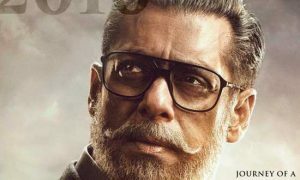 Taapsee’s Dil Junglee (2018) along with Saqib Salem didn’t work, Soorma (2018), Mulk (2018) won hearts but Box Office Number are not as expected. 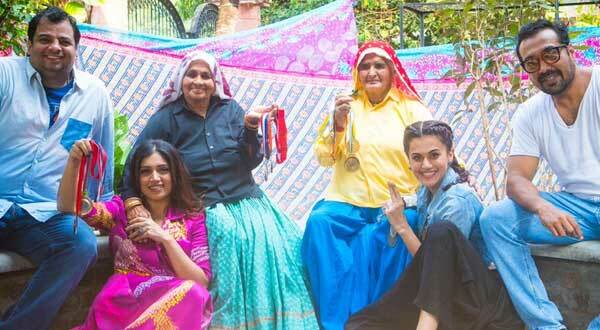 Taapsee and Bhumi are playing Famous Dadi, oldest lady shooters from Hariyana. After successful thriller drama Kahaani, Sujoy Ghosh back with his favorite genre also stars Amitabh Bachchan. Taapsee and Big B are collaborating for the second time after critically acclaimed Pink. On 9th Jan 2018, Taapsee Pannu flew for her 10th Telugu project Neevevaro. Tadka is a romantic comedy film directed by Prakash Raj, produced by Sameer Dixit, Jatish Varma, Zee Studios. Hindi film Tadka is Malayalam blockbuster Salt N’ Pepper remake also stars Nana Patekar, Shriya Saran, Ali Fazal. 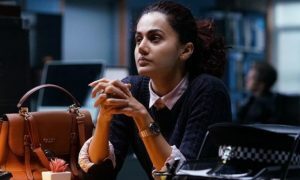 Taapsee Pannu’s Kaan release date postponed several times.